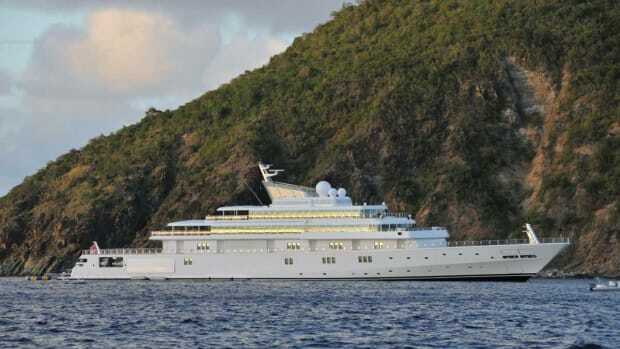 Coral Island, a Jon Bannenberg design built in 1994, is notable, in part, because of her perfect proportions. She was quite large at the time of her launch especially, but she is harmonious and, to this day, does not look out of fashion. It is said that interior photography has never been allowed, possibly a security precaution in the aftermath of the theft of a $6 million Picasso in 1999. 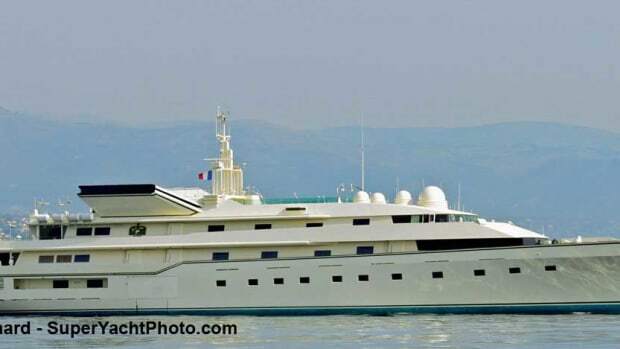 Coral Island, a Jon Bannenberg design built in 1994, is notable, in part, because of her perfect proportions. She was quite large at the time of her launch especially, but she is harmonious and, to this day, does not look out of fashion. It is said that interior photography has never been allowed, possibly a security precaution in the aftermath of the theft of a $6 million Picasso in 1999. 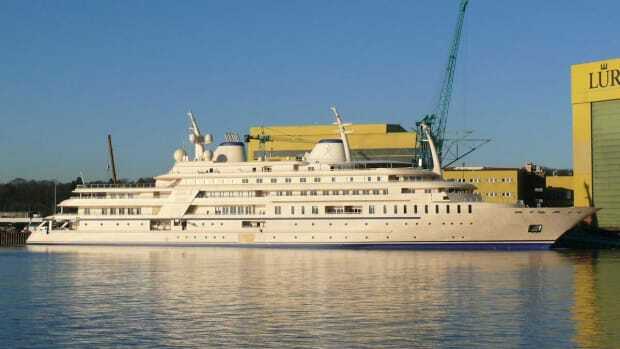 The yacht accommodates 12 guests and 22 crew. Powered by twin 16-cylinder 1877 hp Caterpillar engines, can reach a maximum cruising speed of 17.4 knots. 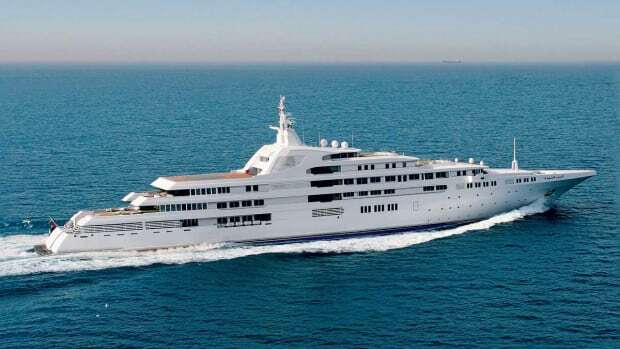 Coral Island, with its brilliant white, gracefully tapered, steel hull and classic aluminum four-deck superstructure is a frequent sight in the South of France. 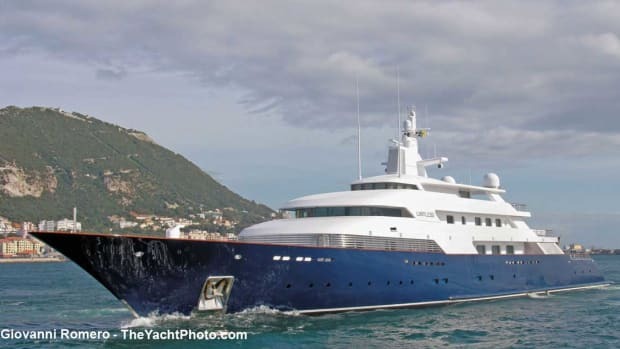 Ownership is attributed to a Saudi whose name, curiously, is only referenced in connection to the ownership of this yacht and Pelorus, which only adds to the aura of mystery surrounding this very private vessel.